I met and interviewed Jessica in mid-September for the fall fashion edition of the Gals That Brunch blog. Jessica, based out of San Diego, Calif., met with me via FaceTime whilst I worked from my home office in Los Angeles. During our discussion we touched on several topics like family, finding yourself and, of course, fashion. 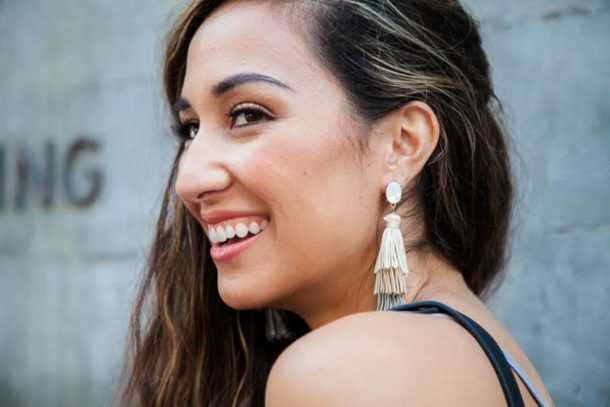 In the following interview, you’ll learn about Jessica’s journey to running her own business, tips for fashion on a budget, trends this coming season, and her take on style as a tool for empowerment. Read on dear ones, and enjoy this dialogue with the lovely, Jessica Sweeten. 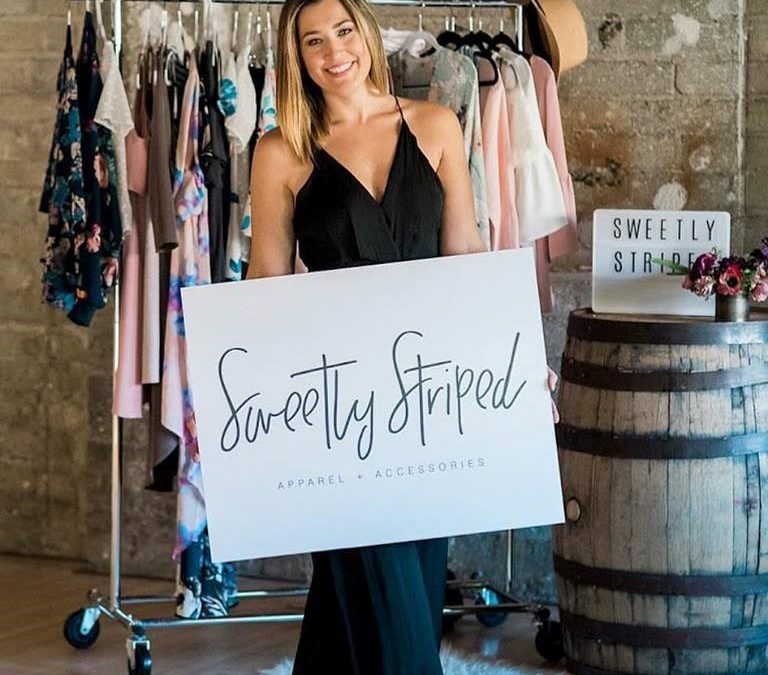 JL: You have an online boutique, Sweetly Striped, where folks can shop all kinds of fabulous items like bags, tops, denim, shoes and accessories. Tell me about how the site got started and how you got into the fashion world. JS: Absolutely. We launched the site in January of this year (2017), and it was a long time coming. I went to school for fashion, studied abroad in London and did a couple internships, so I’ve been in the fashion industry for quite a while. But when I moved to San Diego− because my husband had a great work opportunity− it was really hard for me to get into the industry the way I wanted. So, I took some time off, did other sales jobs, and had a little-one; and, it just dawned on me one day. I was like, “You know what? 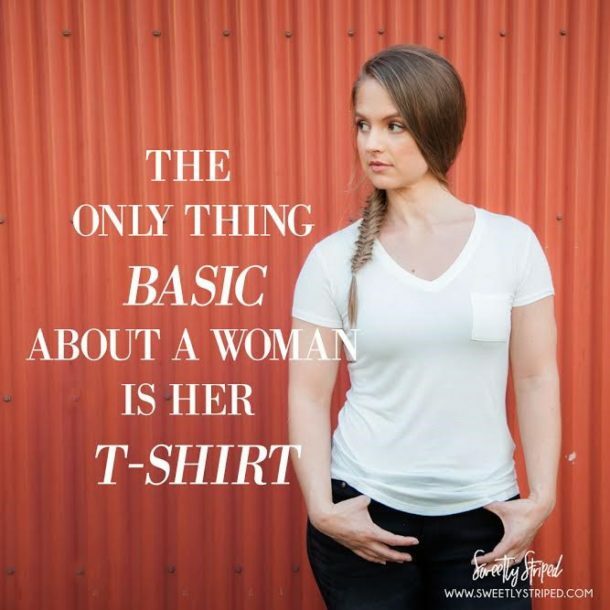 I’m not being true to myself and I want [my daughter] to be true to herself and I need to be a good example of that.” And literally that day I told my husband, “I’m opening a boutique!” And my husband was like, “Okay. Well all right, we’re doing it, then!” and I hit the ground running. That was October (2016) and we launched in January. It’s been fantastic. JS: Yeah, it was inspiring to have that time where I lost myself and had to go through finding out what was important to me again and making goals happen. I was able to really see the importance of how I could help other women through fashion and help them find their identity. Dressing everyday women for me is not only fun but also something that I can do to give back. I’m able to meet so many amazing women, work with them and dress them, so it’s definitely a rewarding career, to say the least. JL: So, before we get into the nitty gritty, I want to know, what is your philosophy on style? JS: Yeah! I have a few looks right now that are just so easy and fun to incorporate, that also add comfort. I think all of us can get behind that message. Fur is also a fun one. Maybe it’s just because, deep inside, I’m this Old Italian lady that loves fur and glam. Bring on the faux fur! JS: Exactly! I’m such a dork. I can talk about this all the time, clearly. JS: Another thing is, often times, people get so excited over all the new trends, which is great, but when you’re on a budget, (know that) there are investment pieces and there are trendier pieces that you don’t spend a lot on. I’ve been doing my own fall looks on the website and a major trend right now is the fringe. But maybe having a fringe dress is not realistic for everybody. As a mom, I might wear that one time to a wedding, or one time to go on a date, but I don’t want my two-year-old pulling fringe off of my jacket or off of my dress and then I look like a hot mess! So maybe put that [trend] into an accessory and know how to utilize it in a way that is more realistic for you. I think that’s a big part too− know that trend items shouldn’t be expensive items. JS: I think there are a lot of factors. First of all, where are you going? If you’re in cute little hipster North Park (San Diego), that’s going to be a whole different vibe than going downtown to a rooftop place to get mimosas and brunch. But I think at the end of the day, it’s so simple! What do you wear that makes you feel good? If you’ve got something on that you’re going to be constantly messing with, don’t wear it! The last thing you need is a distraction! So, wear those pieces that you feel good in and make you feel like you’re able to be you. Focus on what’s at hand—meeting other people, hearing their stories, telling them yours, and making the most of that time. JS: I think one of the toughest parts is knowing your body type and dressing for it. Our body type is always changing due to the events that are happening in life. I can’t remember the percentage, but it’s crazy how many women don’t even wear the correct bra size… for years! But like we were talking about wearing pants that are too small—be aware and find the things that you feel comfortable in. Obviously, don’t live in a bunch of leggings—you deserve more than that. There’s a difference between being comfortable and being frumpy. I’m definitely a pear shape, so doing things that capture that empire waist by synching the middle is going to work for me. So, having that awareness of what I need to do to look my best is what I need to focus on. Psst… according to a Huffington Post survey published in 2017, 80% of women wear the wrong bra size! JS: There are so many things that we go through in life and so many distractions. The most important thing is to focus on what makes you happy. Whether that’s going to a yoga studio—or whatever you’re going to do—incorporate that into your wardrobe. I saw a video the other day and it was about this woman who only wears green. She’s worn green everything for the past 20 years and people call her, Miss. Green. She says it’s a happy color and she’s dedicated her life to that. So, just figure out what looks you like. It doesn’t have to be the latest thing. Just be true to yourself. That’s my whole goal—to give women confidence through fashion and embrace their personal style. JL: I appreciate that. Last question—where can we find Sweetly Striped? JS: I’m online based, so you can find all of our looks on sweetlystriped.com and on social media @sweetlystriped (Instagram and Facebook). I like to do online shopping made even easier and in my Sweetly Striped VIP Facebook group, I offer stuff to [group members] first, like free shipping and other things like that to keep it fun. So, you can definitely find me. Whenever I do pop-ups I always share on social media, so always on Instagram and Facebook.